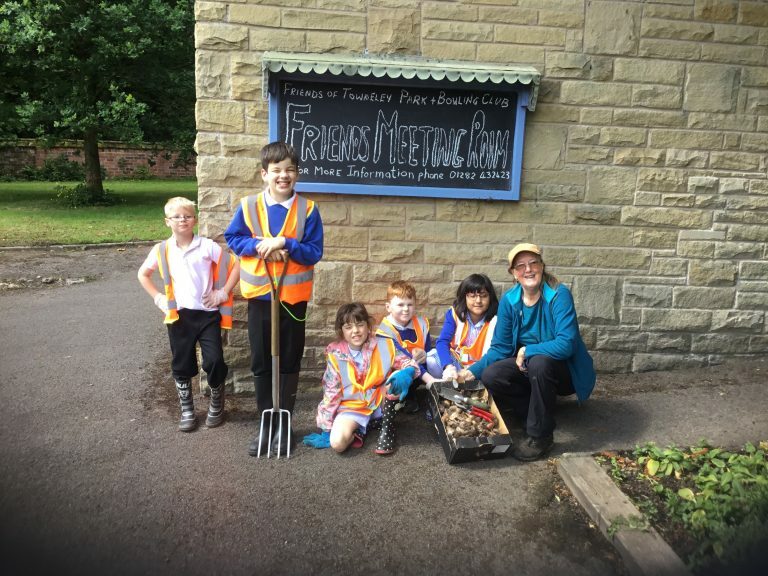 Community Cohesion is part of our school culture and ethos. 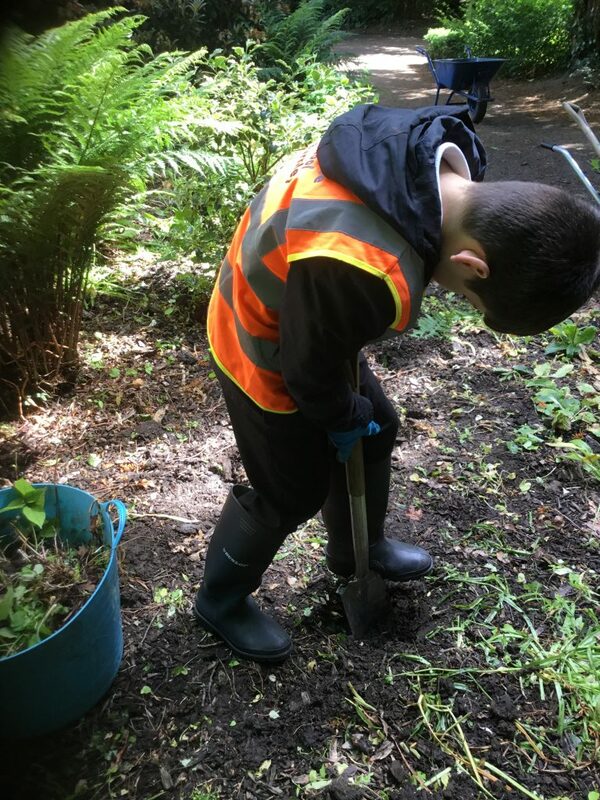 Without the amazing support from different organisations and people within our local community our children would not have the fantastic facilities and opportunities. We believe it is important to give back and strive to be an active member of the community. 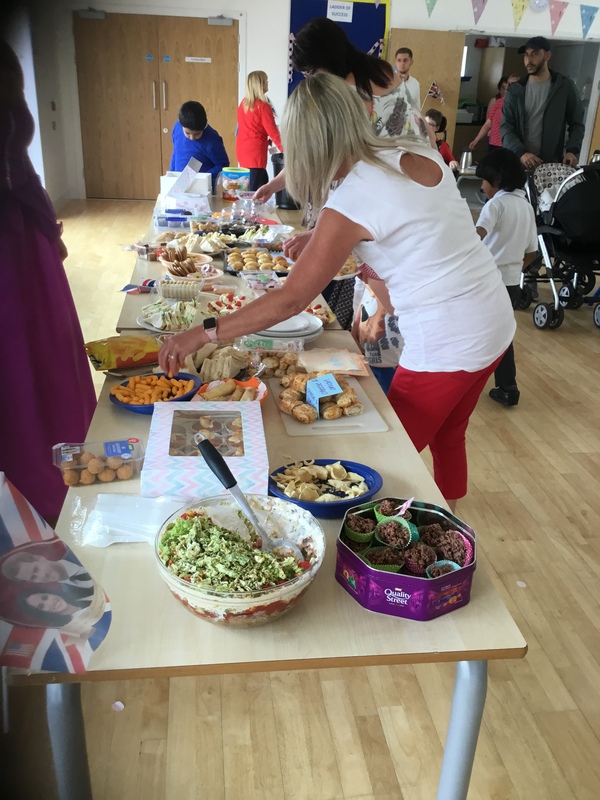 Throughout the school year we aim to provide a chance for the community to be involved with our school events such as ‘The Great Get Together’ and our coffee mornings. 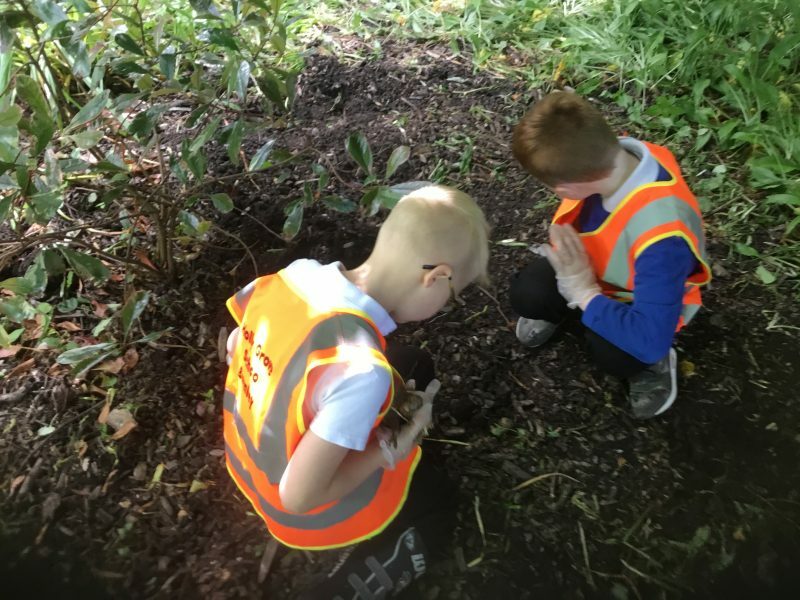 Our school council have also developed their own ideas on how to give back to community such as cleaning the Barden Track, raising awareness for the Spacious Place Food Bank and offering to support people in our local community with their ‘Big Shop’. Please see below for information on how to be involved or dates for any events. Shalamar and Faith from Class 6 decided to make loom bands over the past week to sell around campus. They decided that they would like to donate the funds raised to either the school charity or a homeless charity. After a class vote, they spoke with Emmaus who provide support to people in the local community struggling to cope. They raised total of £20 in total and delivered the money themselves this morning. On Saturday 23rd June we had our Campus Community Fun day to celebrate 10 years of being together. Holly Grove had a very successful face painting stall along with a super hero training academy and a Georgia Fourie Butterly Fund stall. It was amazing to see the whole community get together and share such a fun experience! We would like to thank everyone who donated gifts, time and resources to bring it all together and help us raise £660 for our charity. Holly Grove School has recently been awarded the Bronze Award for all the work the Eco Council have done around the school in the last year to make it more eco friendly. 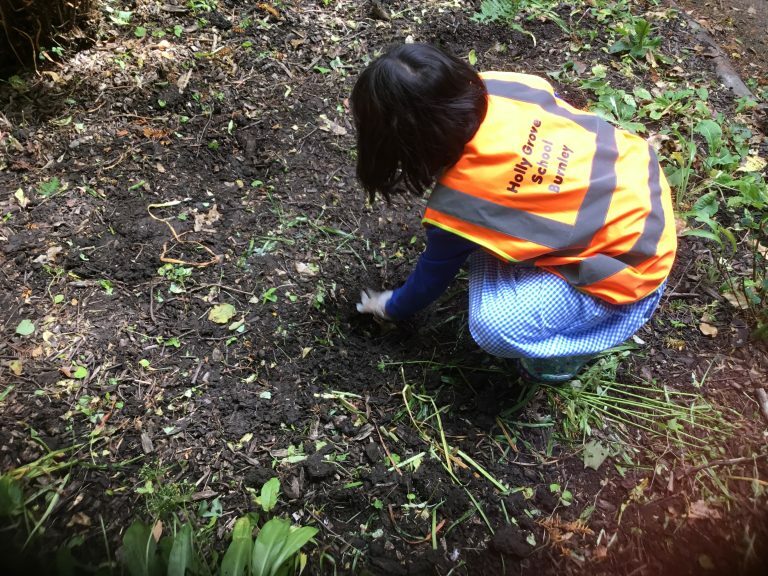 We are currently working towards the Silver Award and at our last meting the children decided they would do some work in the community. 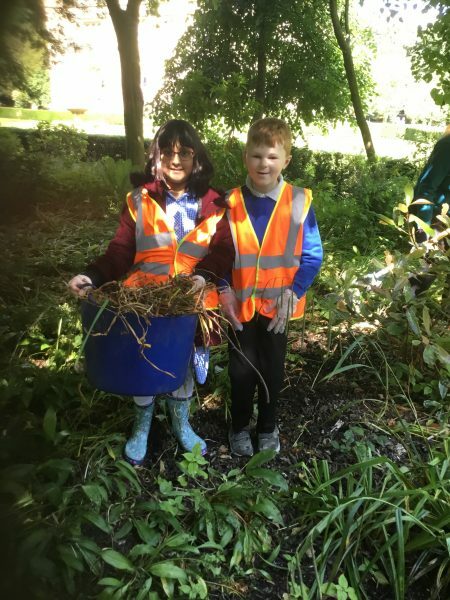 Some of our Eco Council went to Towneley Park to help clean up the area, do some weeding and plant some bulbs. 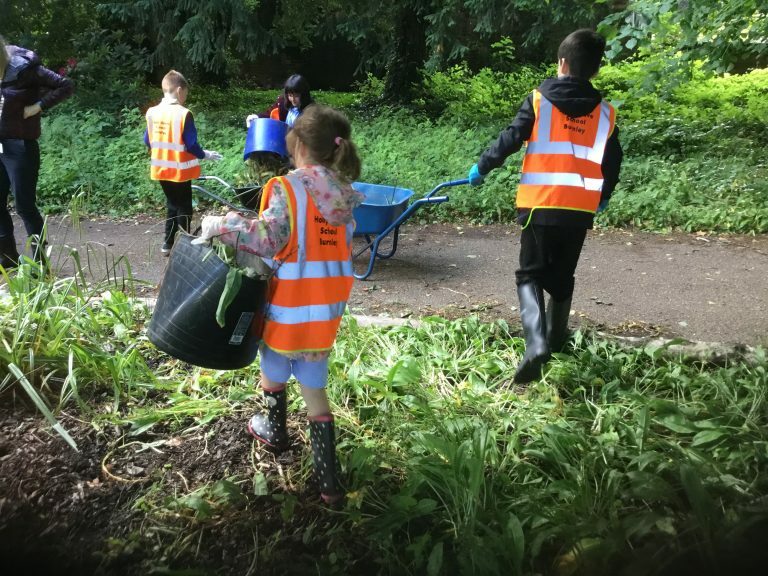 We met up with ‘The Friends of Towneley Park,’ who are a group of dedicated volunteers who work to maintain and improve the park for the whole community to enjoy. We had a fantastic time and cant wait to go back and see the bulbs we have planted turn into flowers. Holly Grove has celebrated in style by hosting a ‘Street Party’ to celebrate the Great Get Together and the Royal Wedding. 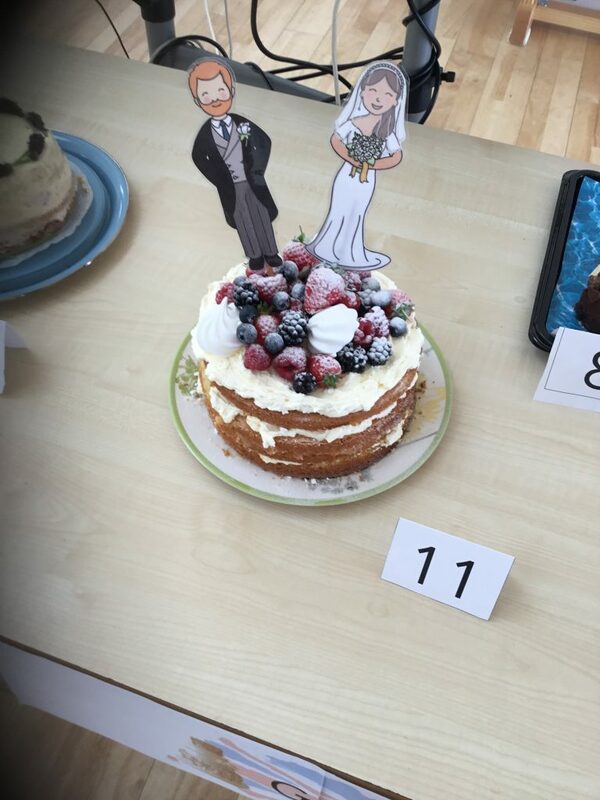 Although the Great Get Together is meant to be held in June, in celebration of Jo Cox’s belief “that we are far more united and have far more in common than that which divides us,” we have celebrated in May and linked our get together to the Royal Wedding. 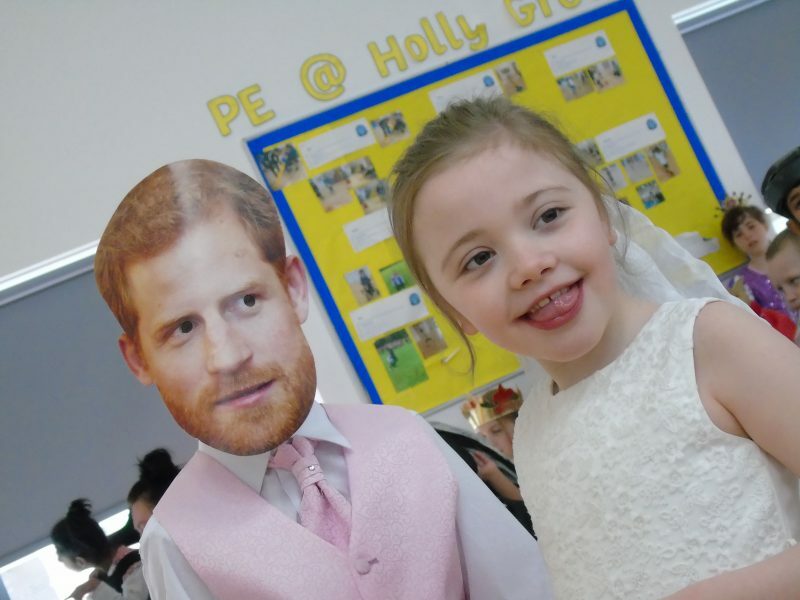 Children came into school dressed as Princes and Princesses and we had a fun packed day. 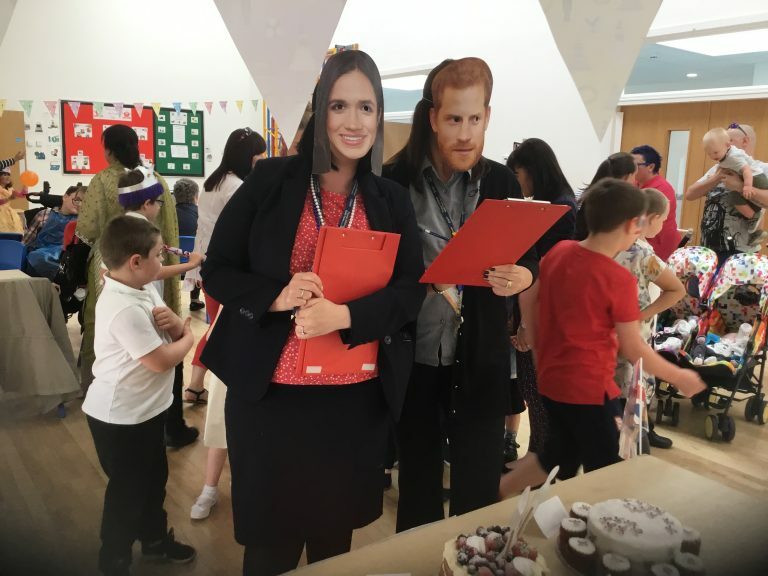 We had a ‘Royal Wedding’ in the morning with our wonderful bride and groom, Harley and Isobelle, we wrote wedding wishes which will be posted off to the Royal couple and we made and decorated our own Union Jack flags. 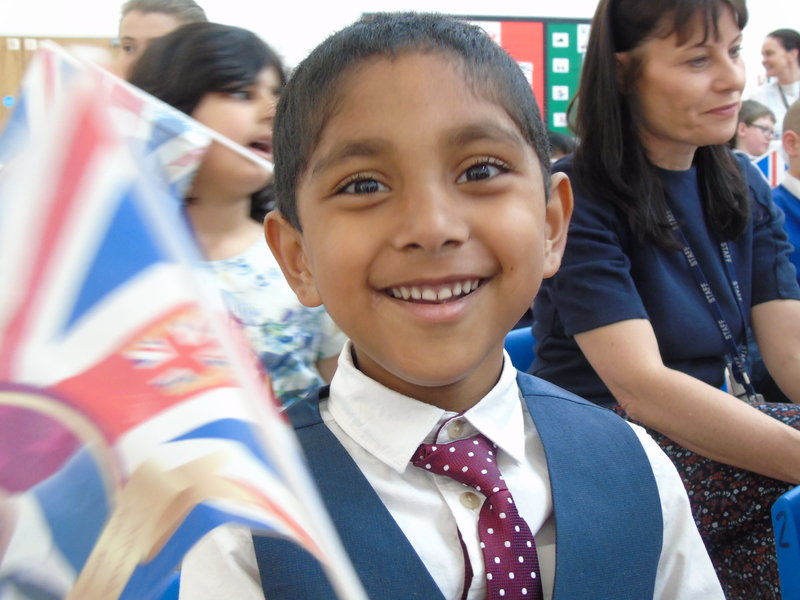 In the afternoon we invited parents and members of the local community in to School to celebrate with us. 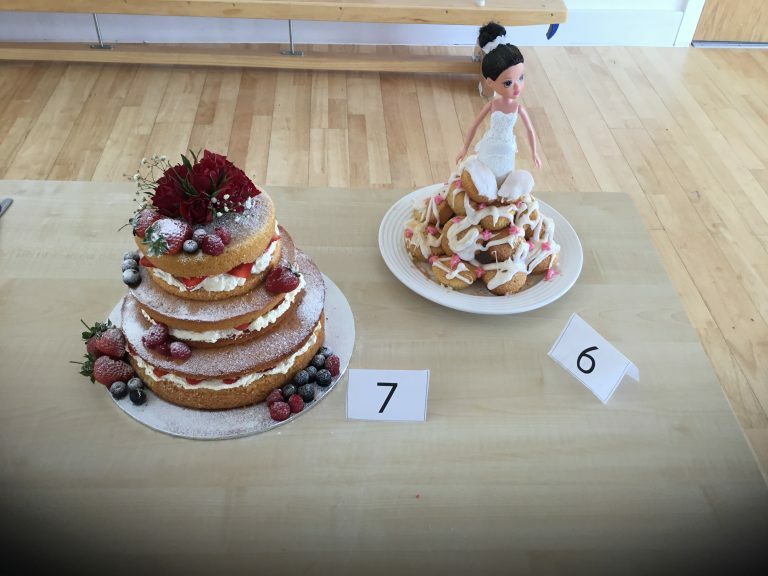 And the highlight of the afternoon was ‘The Great British Wedding Cake Bake Off.’ All classes made a wedding cake and some parents took part as well. You can see from the pictures what a fantastic effort everyone made.